By Br. André Marie, M.I.C.M. This is an excellent rebuttal of sedevacantism. Sedevacantists maintain that there has been no legitimate pope since Pius XII. Every pope after him, they say, was a heretic; and if you’re a heretic you are outside the Church. Therefore, since the past four popes were heretics (and the present pope is a heretic), then they were not members of the Church and one must be a Catholic to be a valid pope. This aberration is infecting the minds of too many good Catholics every day. 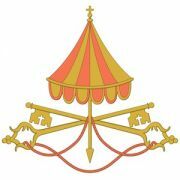 The movement’s leading promoters are as tenacious as they are unrelenting in their determination to win converts, not to Roman Catholicism, but to sedevacantism. Indeed, in their minds, if you reject the sedevacantist position you are not a true Roman Catholic. Traditional Catholics are easy prey, especially those who have more zeal than knowledge. 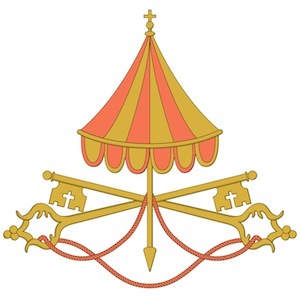 They have become so discouraged by the scandalous mess caused by the Church’s hierarchy, beginning with the pope, that they are tempted to believe that God would never allow the Barque of Peter to have such liberal men at the helm. Add to that temptation some apparently convincing arguments from clever, sedevacantist theologians and you have the recipe for schism. If you have harbored such thoughts, or know people who have, and you want to help them persevere in the Faith while remaining within the Church as it endures the humiliation of Christ’s passion, then this talk is for you. Br. André provides clear answers to all the subtleties of the sedevacantist arguments. He reminds us that “the sedevacantist position is a problem, NOT an answer.” It is built on the Protestant idea of private inspiration. 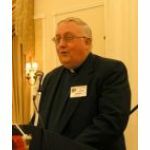 Each of us becomes our own pope in this camp of “rugged individualists.” Brother André does not make excuses for the scandal of this papally assisted “auto-demolition” of the Church (I quote Paul VI). He sticks to his theme: other than the pope himself freely resigning, no human authority can unseat a validly elected pope. We cannot take ecclesial authority into our own hands and start tossing around disciplinary papal legislation from past centuries and declaring ipso facto excommunications. 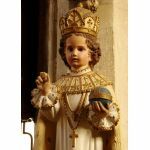 Nor do we have any authority to determine that a papally approved sacramental rite is invalid. In effect, as Brother explains, the sedevacantists have established their own church. And what a strange church it is! — fractured into how many factions, full of ceremony, full of anathema hurlers, and bereft of charity. Imploring the Holy Spirit to guide his words, Brother Andrè began and ended his lucid presentation with a prayer for our then Holy Father, Pope John Paul II.